Acupuncture stimulates yin (calming) energy, calming the nervous system and promoting the body’s self-healing mechanisms. Solid, hair-thin, single-use and sterile needles are placed at specific acupuncture points to balance deficiencies and excesses along channels of energy in the body. The regulation of these channels can help to restore harmony, and, in so doing, symptoms such as pain, or emotional distress are relieved. There are twelve primary channels in the body, each corresponding to a different organ system. The liver channel, for example, helps to regulate emotional well-being and deals with the healthy movement of qi throughout the body. When qi is stagnant, pain usually results. The kidney channel relates to the area of the low back, and is often indicated when there is adrenal fatigue. By working with the energy of Acupuncture channels, harmonious functioning is re-established. 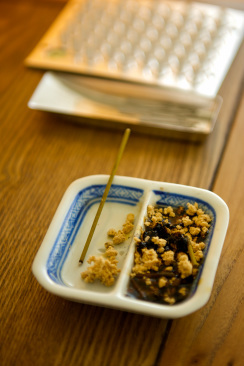 Moxibustion has been used alongside acupuncture for thousands of years. It is commonly called “moxa”, and is made from the crushed leaves of the sweetly aromatic plant, artemesia vulgaris. Moxa is placed along acupuncture points and heated to restore warmth and vitality to a channel that is deficient or where there is a cold obstruction (a diagnosis made by your Acupuncturist.) It is also known for it’s ability to support the immune system. While Acupuncture often restores yin energy, moxa is very warming stimulates the yang energy, making it highly restorative and nourishing. Moxa can be thought of as “the chicken soup” of Chinese Medicine. 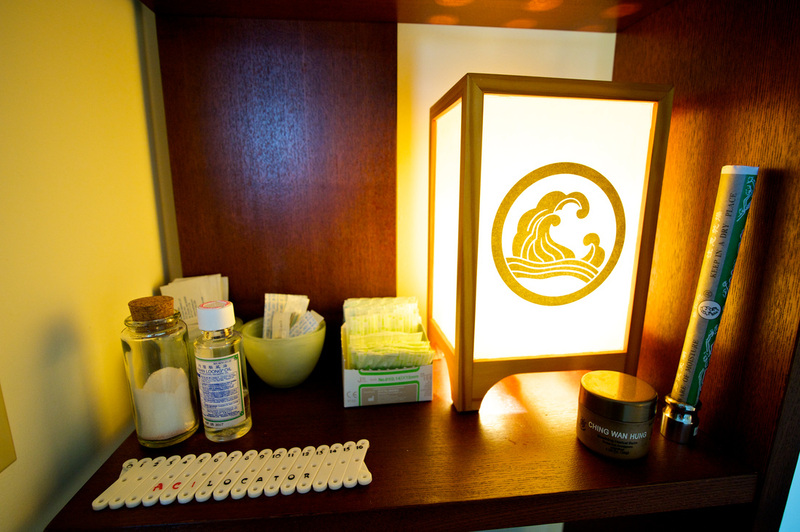 Cupping therapy has also been used for thousands of years in conjunction with Acupuncture. It is particularly indicated when there is pronounced muscle tension and pain, as a remedy to restore the proper flow of blood and qi (energy which moves with the blood). Cups are typically placed along the back or in other areas with tendon or muscle tightness, such as along the iliotibial (IT) band. The action of cupping is similar to a vacuum on the skin, although it more gentle. The suction action of cupping releases tension in the muscles and fascia, helps to restore the normal flow of blood and qi, and helps to draw out pathogenic factors such as dampness, cold, wind, and heat (all causes for stagnation and pain.) Cupping is also used to aid in recovery during a cold or flu when there is congestion in the lungs. In the Five Element Tradition your first visit is referred to as Traditional Diagnosis. We will discuss your goals, your medical and social history. A physical exam includes taking the pulse (a form of Chinese Medicine diagnosis), looking at the tongue (please avoid brushing your tongue before your appointment) and abdominal palpation. This one and a half to two-hour session also includes a first acupuncture treatment. Many people are surprised that the needle sensation is not similar to the needles you experience at your doctors office and is usually painless. Most people find treatment to be very relaxing and often take a 15-20 nap once needles are in. Follow up and maintenance treatments are approximately 60-90 minutes. Wellness coaching helps to guide your next steps and help to maintain the benefits of acupuncture treatments. Pulse reading, meridian palpation and other techniques are administered as well. 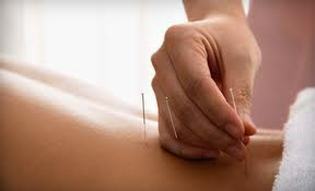 Fine needles and moxa, a restorative herb, may then be applied along the acupuncture points. Our daily habits can support our healing or undermine our efforts. For this reason, Lifestyle Coaching is an important component of each acupuncture session. Everyday practices such as quality sleep, healthy diet, and appropriate exercise are key to achieving balance. Finding the right balance for you will support your Acupuncture treatments and ensure that effects are lasting. The theories of Chinese Medicine reflect how an emotional imbalance can manifest physically. For example, stress and suppressed anger can cause a headache. Emotional Wellness and Mindset Coaching can help to uncover emotional stagnation or thought patterns that may be inhibiting your natural wellbeing. Acupuncture calms the nervous system, allowing the body to release stress. In the process, you will become more receptive and open to thoughts that support good health. Everyday practices such meditation, qi gong, and relaxation practices will support a sustained state of health and peacefulness. Have any questions about our services, or how we can help you on your journey to health? Fill out the form below and we will get back to you at our earliest convenience.